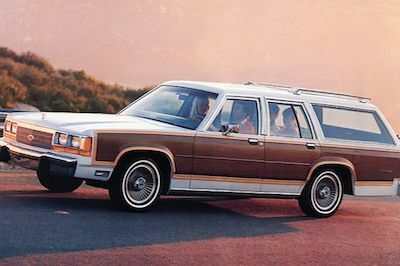 The Ford Country Squire was built for families. This station wagon took to the road at the same time as people began to use the highway system for pleasure. Between 1950 and 1991, this wagon offered fun and escape, but they also needed new parts at some point. When you need a replacement part, buy a genuine Ford part, not a cheap aftermarket part. We only carry genuine OEM Ford parts at FordPartsOnSale.com. Alternator – If your wagon doesn't start, it may be the alternator. These parts are prone to wearing out over time since they are always in use as you drive your Ford. A new alternator will keep your battery charged and your lights bright. Starter – When your Country Squire can't start, it might be a bad starter. If it's grinding as it tries to start, it could be a bad starter. Replace it with a genuine part. Brake Line – If you notice a lot of play in the brake pedal and some fluid on the driveway, you may have a brake line leak. We carry your brake parts here. Our experienced, courteous staff has extensive experience in Ford parts and are ready to answer any of your parts questions. We don't have any cheap aftermarket copies, so you know you are getting the best parts. We have a large inventory of parts for your Country Squire station wagon, so order yours today and get fast, affordable shipping.